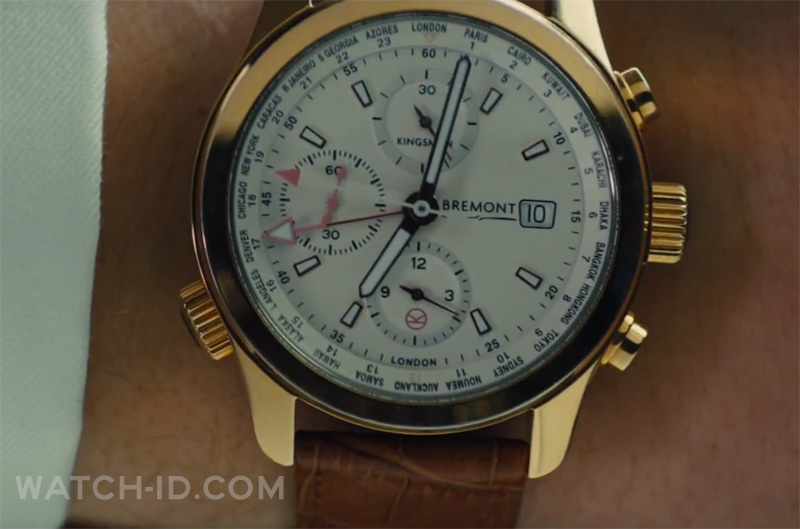 In the movie Kingsman: The Secret Service (2015), several Bremont watches will be used. The main characters Colin Firth and Aron Egerton wear gold Bremont ALT1-WT/WH Worldtimer chronograph 'Kingsman' watches. The Bremont ALT1-WT Worldtimer seen in the movie trailer is a special 'Kingsman' edition, with Kingsman text and K logo on the dial. 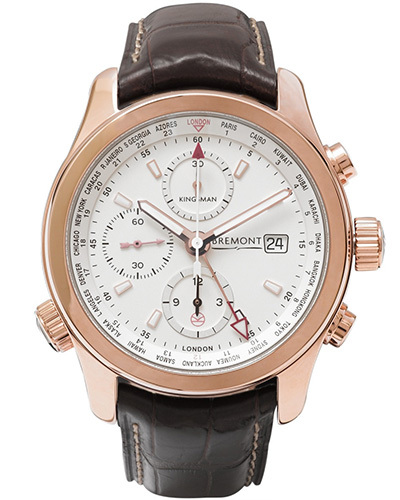 The watch has a rose gold case, a white dial, three subdials, date window and a brown crocodile-embossed leather strap. The Roto-Click® bezel of the watch enables the user to work out global time zones using the International landing location. And the adjustable 24-hour hand can display UTC or ‘Zulu’ time. The Bremont watch is part of the Kingsman collection, and is exclusively available on the MR PORTER website for $24,430. MR PORTER and director Mr Matthew Vaughn have created this collection from Ms Arianne Phillips’ costume design for Kingsman: The Secret Service. "Kingsman is first and foremost British, which made Bremont watches the perfect fit. Their links to special forces around the world make them ideal for the modern spy" says director Mr Matthew Vaughn on his decision to collaborate with the iconic horology brand. Another watch in the Kingsman collection is the black Bremont ALT1-B Automatic Chronograph. Kingsman: The Secret Service stars Colin Firth, Samuel L. Jackson, Mark Strong, Taron Egerton and Michael Caine. In the same film, the characters of the secret service wear Cutler and Gross eyeglasses and sunglasses.